Dedicated Micros 8 Bay Raid2T4 no hds model no DM/RAIDS/R8/2T4. 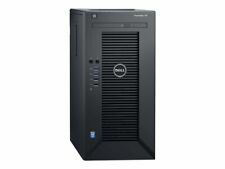 Dell Compellent EB-2425 SAS Enclosure With 24 Caddies and 7 x 1TB SAS Drives 2x EMM. Dell Compellent EB-2425. 1TB Seagate 2.5" SAS Drives. 2 1TB ST91000640SS 6G SAS 7.2K 2.5". Only 7x1TB Seagate SAS 2.5" Drives Remain. Pentium 3 500MHz. Ports: 3 ISA, 3 PCI, 1x AGP. Crystal WDM Sound. There are twelve 3.5" SATA HDD bays and each node has access to three HDD bays. All 12 HDD caddies are included, but no drives. Serie: DH61AG. We are able to source hard to find parts for Legacy systems through to the latest new in box parts for the latest generations of servers & storage systems. Form Factor: Mini iTX. Any hard drives (if included) have been data wiped and work. 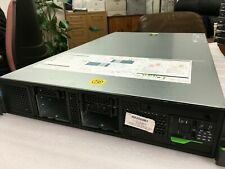 HP ProLiant GL380 G5. - 3 x 146GB SAS HDD. - DDR2 32 GB RAM 667 MHz. - DVD-RW drive. Clean inside and outside. Apple Xserve 1,1 Server A1196 EMC 2107. Two hard drive caddies present, one caddy missing. Hard Drive :NONE. Optical Drive : SuperDrive. Hard drive will be wiped. HP ProLiant DL385 G6 Server 2 x 6 Core 2.4 GHz Opteron CPU's 16GB Smart Array. Poweredge R710. Dell Poweredge R710. 8x 2.5” SAS, SATA or SSD Hot-Swap Drive Bays (NO CADDIES). We are able to source hard to find parts for Legacy systems through to the latest new in box parts for the latest generations of servers & storage systems. I also have loads of spare PowerEdge parts of this era. 4GB 1333MHz DDR3 ECC RAM. Full rack rail set. We never used them. New listingHP ProLiant DL320e v3 G8 LFF, Xeon E3-1220 v3 3.10GHz, 16gb Ram. Free Shipping. 2 x 36 GB 10K serial scsi Hard Drives. Beware that due to its size, many cases will not be able to fit a motherboard this large. The motherboard has been tested extensively and is in perfect working condition. BIOS and IPMI firmware have already been updated to the most recent version. All his specs are on the HP site if you input the part number 380165-031. Upgraded to 12GB RAM. The things which differ from the HP default machine Drives are now 2 x 300GB & 2 x 72GB. Server Front Bezel with Key Dell HP725 PVKWW. Dell Poweredge R710. DELL Poweredge Servers. Dell Poweredge 2850. Dell Poweredge 1950. Dell Poweredge 2900. Dell Poweredge 2950. Dell Poweredge R200. 16 bays system. 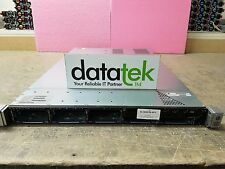 For sale is one server. FWBC the better one not the old BBWC. We will do everything we can to rectify the problem! Right of cancellation does not apply to audio or video recordings or computer software if they have been unsealed.